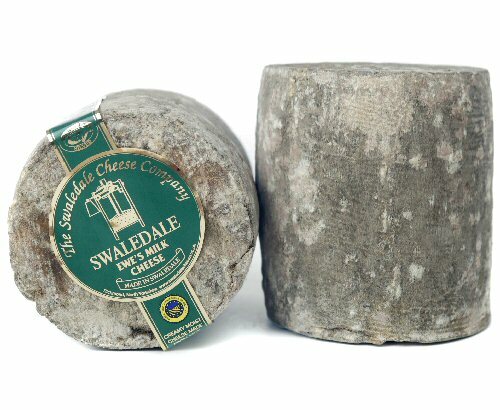 This is the year that we decided to start milking, and yes, you can milk sheep. Scottish Blackface sheep have been milked for 100’s of years, only in the last 60 years have they fallen to the wayside. 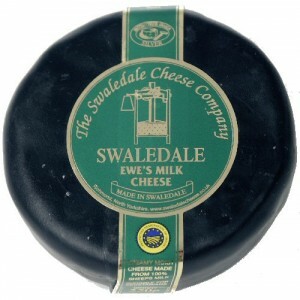 There is a dairy in Swaledale Richmond, North Yorkshire, England, The Swaledale Sheep Cheese Company, milking Swaledale sheep, they are a type of Scottish blackface, a dairy line. One of our rams carries this line in his ancestory. After getting a slow start we now milk once a day when ever we can. 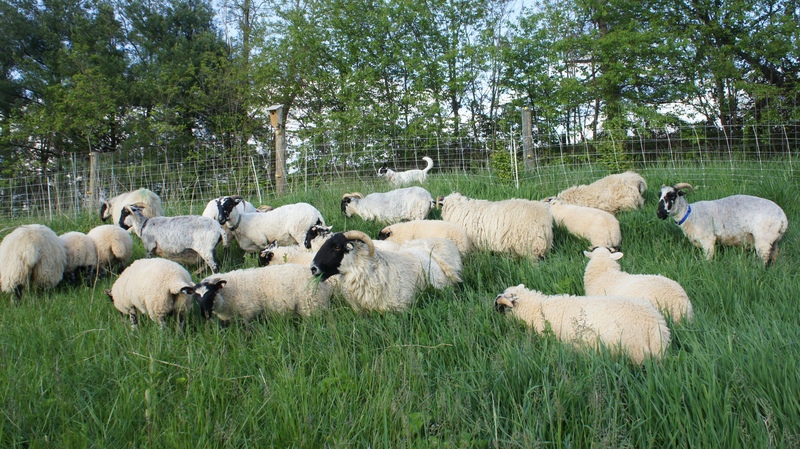 The lambs are still left on their ewes, we seperated the ewes for a few hours each day. If we can ‘t milk a certain day then we leave them together. Here is Laura milking Keena. We usually use a milking stand, but we didn’t for the photos, I don’t know why. As you can see thats a strong stream of milk. Here is a video of Laura milking. As our flock grows we will be selecting for milking traits and develop our own milking line. 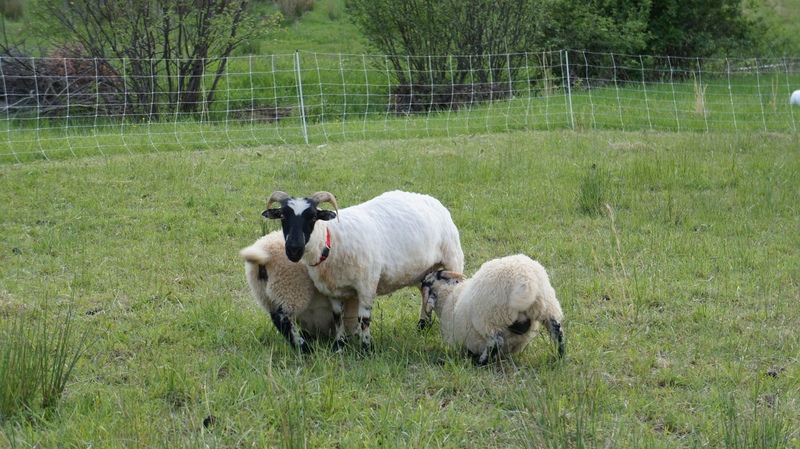 We now have 5 good milkers and this past breeding season we used Artigan, our dairy line ram, and his daughters will carry the milking trait from both parents. One way to tell if you have good milkers is to weigh the lambs every week. 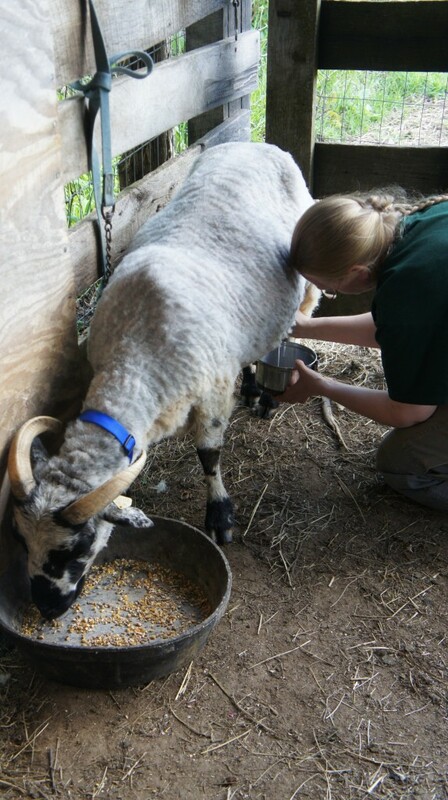 Their weight gain is a direct relationship to how much milk is being produced by the ewe. Our best milkers have a lamb weight gain of 0.9lbs a day. Hopefully we will have excelent milkers. 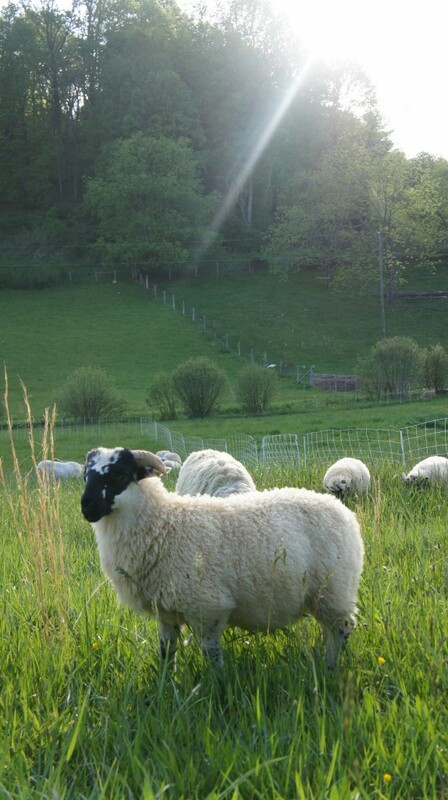 It will be almost two years before we know, this years ewe lambs will not be breed until they are 18 months old. This years wet spring has been great for growing grass and lamb weight gains.